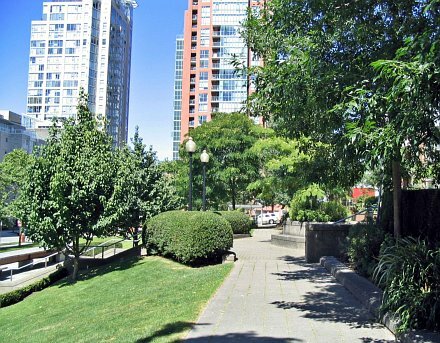 Whether relaxing with a morning coffee or taking a stroll with a friend, May & Lorne Brown Park is wonderful place to start the day. 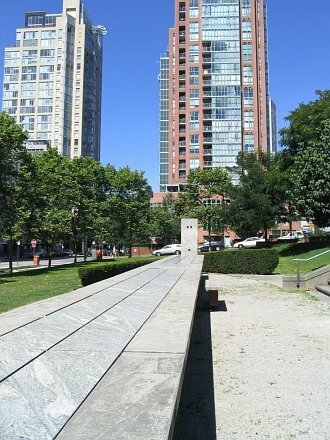 The park offers a small but wide lawn and comfortable seating areas lined with ash and London Plane trees. It is also the setting for a playful and functional art piece, an oversized harvest dining table, that creates the heart of the space. 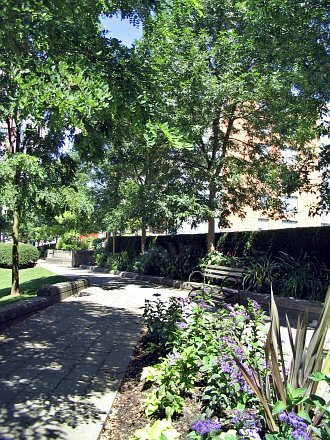 This park was named in 1998 for two former Park Commissioners: Lorne Brown 1967-1968 and May Brown 1973-1976, the only husband and wife team to have ever served on the elected board.